Superman Saves Family. In Real Life! “It’s a tremendous piece of American pop culture history,” Zurzolo said. The couple learned online that ComicConnect.com had brokered the record-breaking sales of Action No. 1 copies for $1 million in February and then $1.5 million one month later. They immediately texted a cell phone picture to the firm’s co-owner, Stephen Fishler. 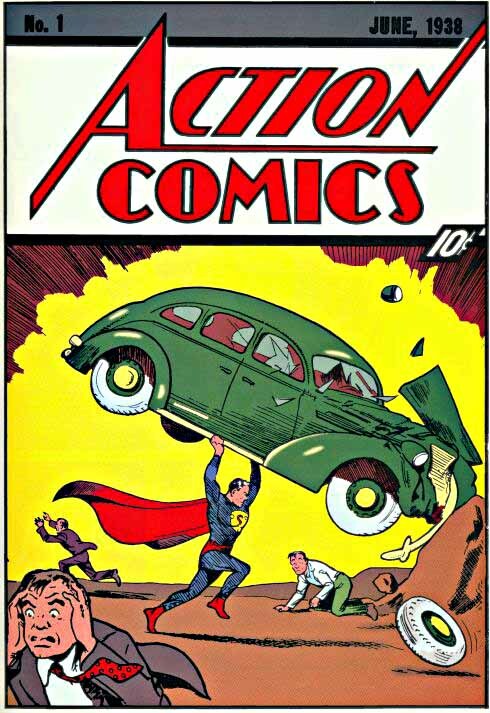 This entry was posted on August 10, 2010 at 23:29 and is filed under Comics, Geekery with tags #1, action comics, comic book, first comic, foreclosure, saves family, superman. You can follow any responses to this entry through the RSS 2.0 feed. You can leave a response, or trackback from your own site.